There were few changes to the committee at the AGM with David Illingworth resigning and Helen Tervit joining. Dr. Rufus Turner of Crop and Food research gave a short talk on oxidised fats in the diet and why we should all go for pristine oils in dark glass or tin. Plans are afoot for a book on lipids in Australasia so long as we can get author support. The website continues to be updated and we recently placed the proceedings of the Australian seminar on the site. Thanks to Peter Nichols for a great job. Try the new Olivani olive and avocado spread from Bluebird Foods (manufactured by Meadowlea). It has an attractive colour, tastes great and is free of trans fat from hydrogenated oils. 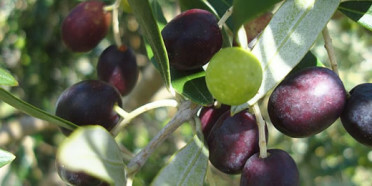 The Los Angeles County Fair ‘Olive Oils of the World’ competition is the largest and one of the most prestigious events in the olive oil calendar. This year 366 olive oils were entered, up from 238 in 2004. Almost every olive oil producing country, from both the southern and northern hemispheres, was represented. The 20 member judging team consisted of 16 Californian judges and 4 international guest judges, including Margaret Edwards, New Zealand’s only international olive oil judge. The Waiheke Olive Oil Company, owned by Margaret and John Edwards entered the 2 oils they produced in 2004 – Matiatia Grove (produced entirely from olives grown and processed by them on Waiheke) and Matiatia Blend, a blend of their Waiheke oil and oil from Nelson Olives. Both of these oils were awarded gold medals. The Los Angeles competition gives New Zealand producers a great opportunity to showcase our extra virgin olive oils and to benchmark them against the rest of the world. It’s good to know we are up there with the best. 0-9531949-8-1. April 2005, 486 pages, 152 tables, 148 figures, 87 equations, 849 references. Vol. 18 in The Oily Press Lipid Library. In this Second Edition, Edwin Frankel has updated and extended his now well-known book “Lipid Oxidation” which has come to be regarded as the standard work on the subject since publication of the First Edition seven years ago. His main objective is to develop the background necessary for a better understanding of what factors should be considered, and what methods and lipid systems should be employed, to achieve suitable evaluation and control of lipid oxidation and rancidity in complex foods, biological systems and disease states. The need to understand lipid oxidation is greater than ever with the increased interest in long-chain polyunsaturated fatty acids, the reformulation of oils to avoid hydrogenation and trans fatty acids, and the enormous attention given to natural phenolic antioxidants, including flavonoids and other phytochemicals. The United Kingdom Food Standards Agency (UKFSA) has recently advised consumers not to eat a wide range of foods that have been inadvertently contaminated with an illegal dye, Sudan I. This dye was in a batch of chilli powder used to manufacture a Worcester sauce, which was then used as an ingredient in a wide range of UK products. Most of these UK products are fresh or chilled so it appears unlikely that any of the affected batches are present in Australia. However, this is being further investigated through industry and the states and territories. FSANZ is continuing to monitor the situation and will provide further updates, when available. The six issues of “Lipid Technology Newsletter” published in 1998 are now available for free download in PDF format from their web site. This is the first step in a project to make older issues of “Lipid Technology“ and “Lipid Technology Newsletter” available electronically, free of charge. Although the news stories are out-of-date there is still a lot of useful information in these issues! Lipid Technology Newsletter was published by PJ Barnes & Associates as a “sister” publication to Lipid Technology until the end of 2003, when it was incorporated into Lipid Technology. Each title was published in 6 issues per year. and follow the links to obtain the files. Fat consumption in the diet can lead to healthy blood levels of sugar and cholesterol, say researchers. Fats taken in directly from the diet or generated from sugars spark a cascade of gene activity in the liver necessary for healthy blood levels of sugar, cholesterol, and other fats, according to scientists at the Washington University School of Medicine. They suggest that old fat stores alone failed to set those critical metabolic pathways in motion. “The findings in mice suggest that normal metabolism requires so-called “new” fat: further evidence that a healthy diet should include an adequate source of fat,” comments lead author Clay Semenkovich. Taking the findings a step further, Semenkovich claims the results suggest that specially engineered fats might boost healthy liver metabolism, offering an alternative mechanism for fighting chronic diseases, including obesity, diabetes, and heart disease. The researchers inactivated fatty-acid synthase, an enzyme that generates new fat from carbohydrates, in the livers of mice. When fed a diet completely lacking fat, the mice developed low blood sugar and fatty liver. Both conditions were reversed when the researchers restored fat to the animals’ diets. Further study found that, in the absence of new fat, the mice exhibited a marked decline in the activity of genes critical for the metabolism of glucose, fatty acids, and cholesterol. These genes, say the researchers, are normally targeted by PPARa, a key energy management gene activated by fatty acids. “In short, all fatty acids are not created equal, at least in the liver,” added Semenkovich. The findings suggest that products of fatty acid synthesis regulate glucose, lipid, and cholesterol metabolism by activating distinct pools of PPARa in the liver, say the researchers. Further study is required, they add, to clarify the mechanism by which nutrient sensors in the body distinguish between different sources of fat. Full findings are published in the May issue of Cell Metabolism. The stream of studies demonstrating green tea’s health benefits drove UK consumption of the beverage beyond 100 million litres during 2004, shows a new report from drinks sector analysts Zenith International. Consumption of green tea products rose by 87 per cent between 2000 and 2003, contrasting sharply with the downward trend in hot drink consumption across Europe. The figures suggest that despite the fact that many studies on green tea have looked at the ability of extracts to fight cancer cells in laboratory experiments, the findings are filtering through to create a positive overall health image for consumers. In a world first CSIRO Food Futures Flagship has developed plants that produce DHA, a healthy omega-3 oil component normally only available from fish sources, and vital for human health. “Showing that plants can produce DHA in their seeds is a remarkable scientific feat,” says Dr Bruce Lee, Director of the CSIRO Food Futures Flagship responsible for the project. DHA and other long-chain omega-3 fatty acids are made by lower plant forms, like microalgae, which are then acquired by fish through the food chain, but more advanced plants that grow on land cannot produce them. DHA is vital for optimal brain and eye development and is recognised for its health attributes, including lowering coronary heart disease risk, Type-2 diabetes, Alzheimer’s disease and asthma. Nutritional authorities recommend a daily intake of at least 500mg of long-chain omega-3 including DHA, yet dietary surveys show that most Australians consume only a tenth of this amount. To increase intake, many foods are now supplemented with omega-3 oils from fish, but with declining natural fish stocks, and aquaculture’s current reliance on fish-based feeds, additional sources of long-chain omega-3 oils are urgently needed. “Commercially available omega-3 enriched crop plants may be some years away, but they would enable the average Australian to obtain healthier levels of DHA through a wider choice of foods,” says Dr Green. Dr Lee says that this discovery is an example of the successful collaboration of multi-disciplinary science drawing together CSIRO’s expertise across the different CSIRO divisions of Plant Industry, Marine Research, Health Sciences & Nutrition, Entomology, Livestock Industries, and Food Science Australia (a joint venture of CSIRO and the Victorian Government). New Zealand seafoods are an excellent source of omega-3 oils which are vital for maintaining our health say researchers from The University of Auckland. The amount of omega-3 found in 20 commonly eaten New Zealand seafoods, including canned fish, was surveyed by Masters student Sagar Katvi and Professor Charmian O’Connor from the Food Science Programme in the Faculty of Science. The research was undertaken in conjunction with Dr Andrew Jeffs from NIWA and assisted by funding from the New Zealand Heart Foundation. Omega-3 oil has been shown to be vital for growing eye and brain tissues, and for maintaining good health especially for protecting against heart disease and stroke as well as other common human disorders. Seafood is one of the main dietary sources of omega-3 and the consumption of seafood in New Zealand is low in comparison to many countries, despite it being readily available, says Sagar. The level of omega-3 content varied widely between different seafoods, with some local species such as salmon, jack mackerel, kahawai and grey mullet having very high levels, making them an excellent choice for a healthy diet. As part of the study, Sagar also looked at how much would be added to the weekly grocery bill for people to purchase enough of each type of seafood to meet the recommended intake of omega-3. “Previous studies suggest that the perceived price of seafood is a key reason why New Zealanders are not eating as much seafood as they need to provide enough omega-3 for their good health,” says Sagar.